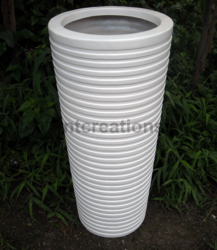 We are one of the leading manufacturers and exporters of Garden Decoration Products. Our range comprises of Fiberglass Planters, Artificial Rocks, Benches and Seats, Buddha Sculpture, Garden Ponds, Indoor Waterfalls, Fiberglass Outdoor Waterfalls, Artificial Bamboo Products, Murals and Wall Hangings, Sculptures and Statues, Garden Decoration, Wall Cladding Textures Panels, Theme Products, GFRC and Cement Rockwork, Fiberglass Animals, Artificial Rock Works and Garden Planter Pots. 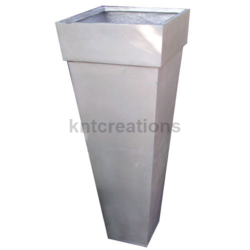 Pioneers in the industry, we offer modular stack planter, barralwood rectangular planter, barralwood rectangular planter (small), short ribs planter and granite planter from India. Our range of products include ribs glossy planter ( big), ribs glossy planter (small), plastic flower pots, bowl 30 planter and bowl 30 tall planter. 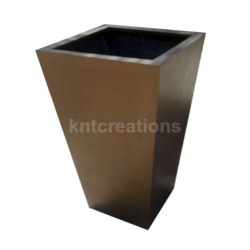 Leading Exporter of conical planters, cube 30 planter, sea breeze planter (rectangular), t cube3935 stone effect planter and royal hexagonal bronze planter from Pune. We are a leading company in the field of manufacturing and exporting quality products like Garden Decoration, Wooden Log Sit Without back Rest, Wooden Effect Cladding, Tree Log and Waterfall Stream, etc. 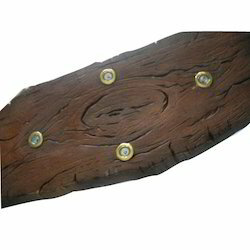 We offer a diverse range of these decorative items in different sizes and styles. These are available in the market at affordable rates. 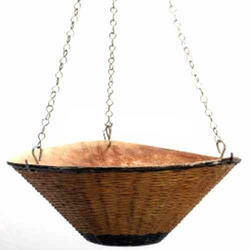 Owing to the rich industry experience of our organization, we deal in the manufacturing and exporting Artificial Bamboo. 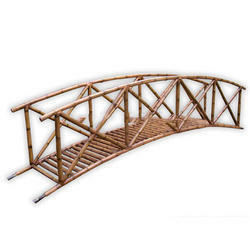 Available in variegated ranges such as Fiberglass Bamboo, Bamboo Bridge, Garden Decorative FRP Display Board Bamboo, Artificial Railings Bamboo. these have excellent quality. 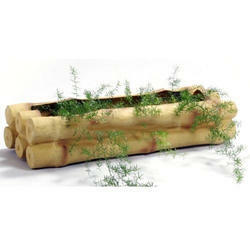 Moreover, these artificial bamboo products are put to comprehensive quality check before being dispatched for sale. We are among the most trusted companies which deal in the manufacture and export of Fiberglass Outdoor Waterfalls. Having premium quality, these Water Falls are available in ranges such as Paradise FRP Waterfalls, Landscape Waterfall, Pond Fountain, Rock Water Film, Corner Beauty Falls and Vertical Limit Falls. We ensure that these water falls would not only meet your expectations but would also go beyond them. We are a highly acclaimed organization in the manufacture and supply of Buddha Sculpture. These include Buddha Face - Dark Wood Effect, Buddha in Themed Restaurant, Antique Buddha, Hanging Buddha Mask - Stone Effect, Buddha Stone and Buddha Mural - Wooden Effect. 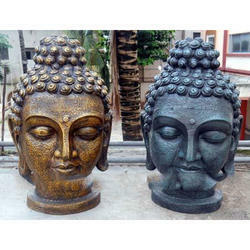 Embellished with antique and molded finish, these Buddha Sculptures are available at affordable prices to suit the specific requirements of different clients. 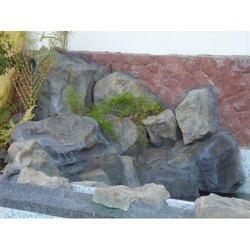 We are a leading Exporter of indoor waterfalls for interior decoration, stone waterfalls, frp japanese fountain, slate fountain and garden & pool waterfalls from Pune, India. 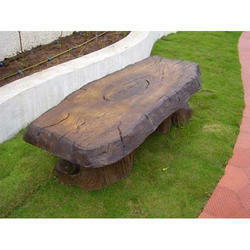 Benches are the most utilised product in any Garden. Aestetic and Utility is the key while selecting the Benches and Seats. KNT Creations has designed different types of benches for Buolders / resorts / Five Star Properties and farm Houses etc. 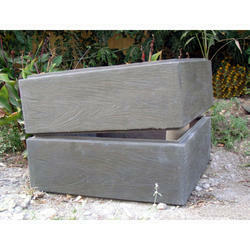 Please feel free to contact us for any innovative Design benches that you wish to make for your Garden. 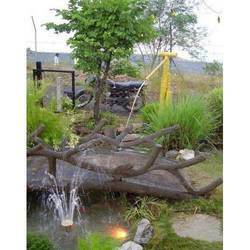 Leveraging on our skilled pool of professionals, we are into manufacturing and supplying Garden Pond. 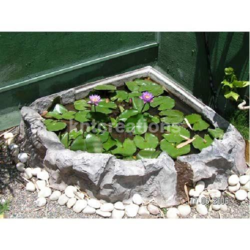 Appreciated by the clients for their aesthetic appeal, these are available in various forms such as Preformed Garden Ponds, Fiberglass Garden Pond, Koi Pond, Garden Pond Decoration, Lotus Pond and Lotus Pond Corner. These garden ponds enrich the surroundings and fill it with serenity. We are one of the topmost companies in manufacturing and exporting Artificial Rock Works. 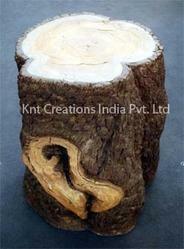 We use excellent quality of material to manufacture an exclusive range of our products. Our Products are highly demanded by our valuable clients. 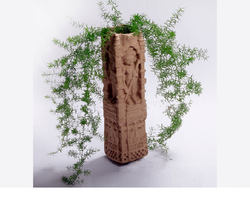 Our products include Terrace Garden, Statue in Cave, Rock Planter & Lotus Pond, Rock Cave, Vertical Rocks, Theme Rockwork, etc. We are a leading manufacturer and exporter of Artificial Rock comprising of Stout Rock Sandstone, Set of Rocks Granite, Jumbo Rock Granite, Big Boulder Rock Granite, Climbing Boulder and Jumbo Rock. 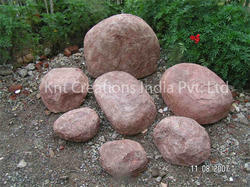 Available in a wide variety of sizes, colors and specifications, these artificial rocks have enthralling designs. In addition to this, these artificial rocks are extensively used for enhancing the decor of homes and buildings. To conclude, these artificial rocks are offered at reasonable prices. We are a well established and reputed company in the field of manufacturing and exporting good quality Decorations Theme like Baby Crocodile, FRP Wooden Top, Temple on Wheels, Lettering Board, Wooden Effect Chajja and Lord Shiva. All these items are made from fine quality material and good technology. These products are offered at economical prices in the market. Our range of products include metalica slim tall planter (vertical), elegance slate planter, artistic planters, tall slate rectangular planter and slate planter pot. 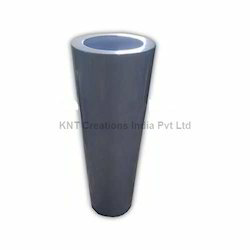 Exporter of a wide range of products which include vertical slate planter pot, royal ring planter pot, egyptian planters, frp garden gloss planter pot and decorative pot.